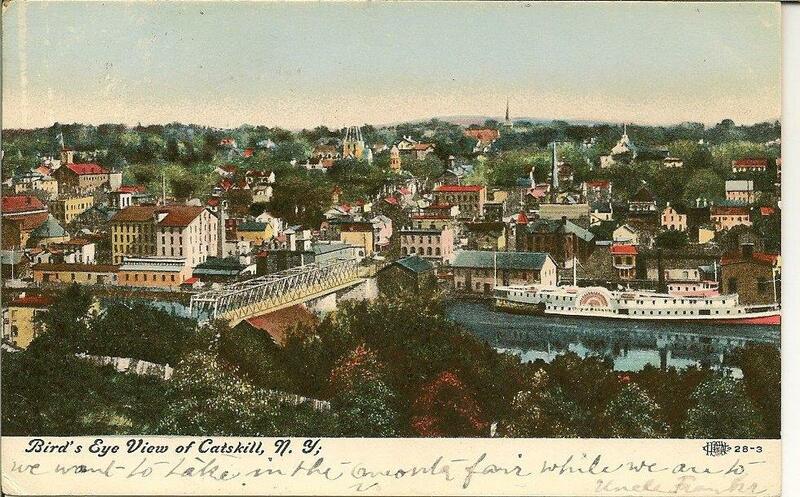 Dutch settlers established a port at Catskill Creek, a sheltered waterway, around 1650. By the 1800’s, goods from tanned hides to honey passed over its docks. 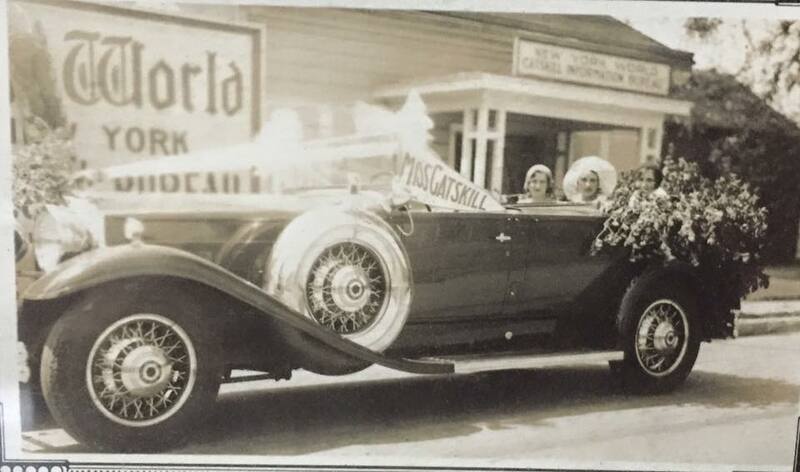 A product of particular importance, in those days before mechanical refrigeration, was ice. 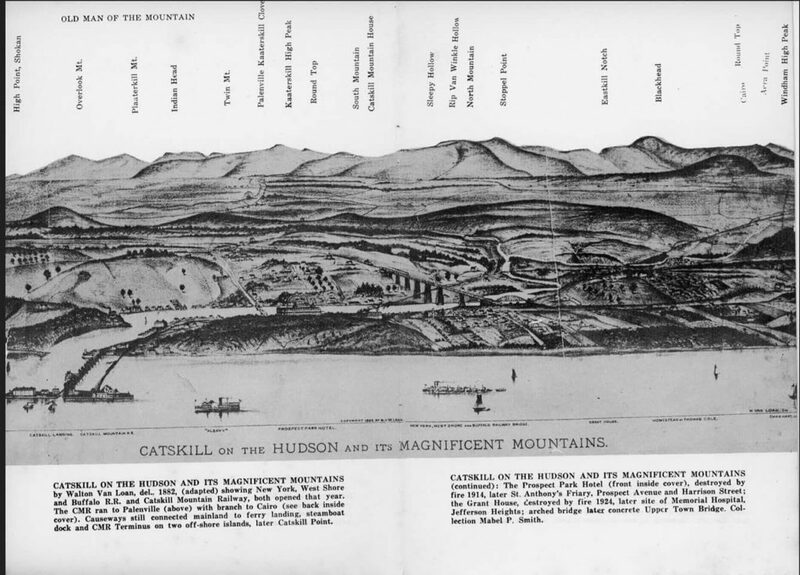 Local companies harvested millions of tons each winter from the frozen Hudson River and its tributaries, and blocks were swaddled in sawdust and stored in wooden ice houses. Enough of the harvest stayed frozen as the weather warmed to keep Catskill shipping ice to New York City to cool food in spring and summer. 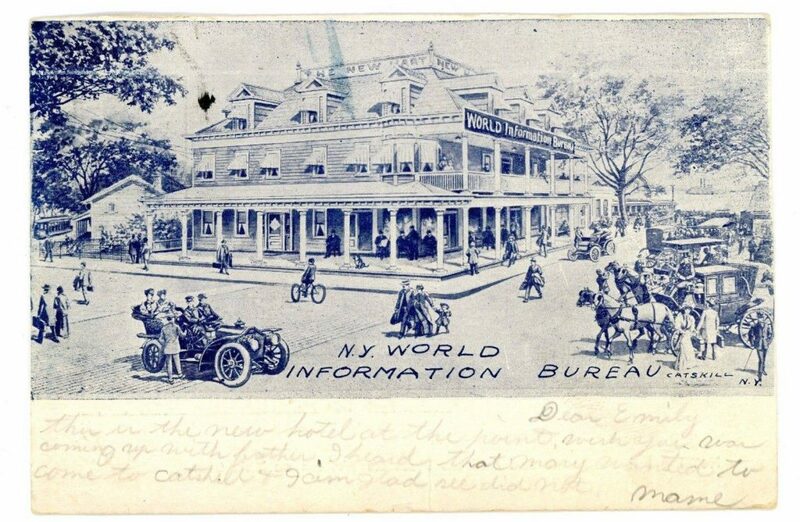 Steamboats also stopped at Catskill, where tourists could stay at the lavish Prospect Park Hotel or catch stagecoaches (or later, trains) to mountain retreats. 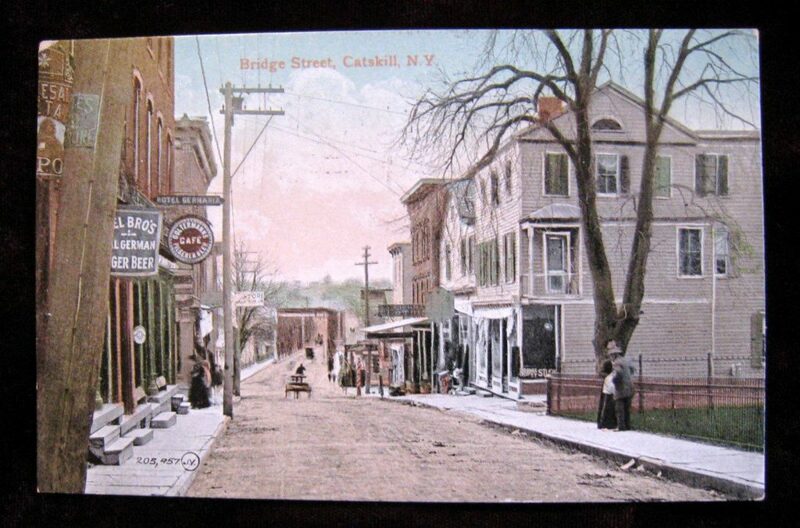 The town was established March 7, 1788, as part of Albany County. 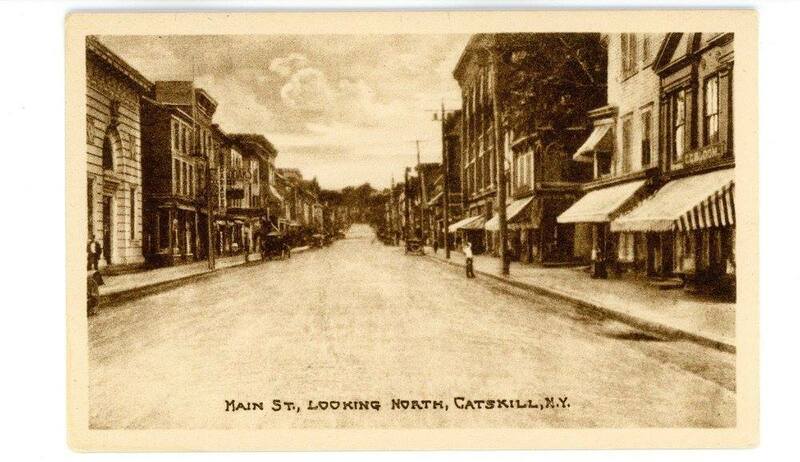 When Greene County was formed on March 25, 1800, Catskill became part of the new county. The town was increased by an addition from the town of Woodstock in 1800, but was later decreased upon the formation of the towns of Cairo(1803) and Athens(1815).